Co-written with my long term and valued colleague Dr. Stefan Schutt from Victoria University, our chapter Eight Years of Utilizing Virtual Worlds for Education: A View from the Trenches is the first chapter in the book Utilizing Virtual and Personal Learning Environments for Optimal Learning – now available through IGI Global. The chapter discusses our experiences since 2006 deploying virtual worlds for training within secondary and special schools, vocational education, higher education, private industry and the community sector, as well as the factors involved – including technological change, organisational politics, pedagogical fashions, changes in policy and funding environments, and the human aspects of working with teachers and students. If you are interested in reading the chapter please let me know, or it is available from the IGI Global online bookstore or online database(use code LIB25 for a 25% discount). We are very excited to announce a new product we have been developing, vPlay. vPlay allows for the creation of virtual patient scenarios and is the result of ten years of work in this area. Branched interactions can be created with an animated character and two different ‘game like’ measures. Educators and learning designers can edit and adjust interactions using an online administration system. The initial patient pictured below has been developed by VMA to increase the cultural awareness of GPs. For a demo of vPlay – contact us today. Kilgors is a Balanced Scorecard Simulation, co-authored by Albie Brooks (University of Melbourne), Gillian Vesty (RMIT University) and Sarah Tesar (formerly University of Melbourne) and developed by Oztron Media with funding from the Faculty of Business and Economics and Department of Accounting at the University of Melbourne. This case focuses on the Wine Division of Kilgors. The case is a digital-based simulation which allows students to develop a balanced scorecard for the Wine Division based on a diverse set of information and background. Students are then presented with three different scenarios, driven by internal and/or external events, and are asked to make decisions as they see the best course of action for the Division. The causal impact of the student’s decision is reflected in the scorecard development. A series of reflections and discussion points are inserted throughout the simulation, which enables students the opportunity to question their decisions. The simulation is framed with the objective of providing an interactive classroom experience. Kilgors uses interviews, commentaries and winery footage and is structured using gaming technologies. Serious games and simulation can provide an experience of environments where it is not possible or practical to physically be present. In this month’s Deep Dive Innovation Event, Dale Linegar from Oztron Media will showcase examples of projects he has been involved in with other universities and conduct an interactive workshop on how games and simulation can be incorporated in learning and teaching. Yesterday I presented at the Melbourne Virtual Reality Meetup, hosted at Queens Collective on Queen Street in Melbourne. It was inspiring to meet so many like minded individuals and to see the strength that is gathering behind the VR cause. I was invited to the event by Joel from Lobal, an old friend who is now at the head of a startup which has some very interesting ideas about virtual reality and virtual worlds. It seems like 2015 is going to be a very exciting year in VR. Over the past few months we have been developing a product called Bluetour which creates self-guided tours using both GPS and Bluetooth technologies. Bluetour allows users to experience the real world enhanced by digital media. For more information visit http://bluetour.com.au/ or contact us. On May 16th, The Whitecard Game, a collaboration between Oztron and Victoria University, funded by the National VET E-Learning Strategy, was awarded the bronze prize in the IMS Global Learning Consortium 2013 Learning Impact Awards in San Diego, USA. This award recognises almost 5 years of collaboration and hard work with the team at Victoria University – including Mark O’Rourke, Dr Stefan Schutt, Daniel Bonnici, Justin Maddy, Mark Courtney, and Jason Gould. 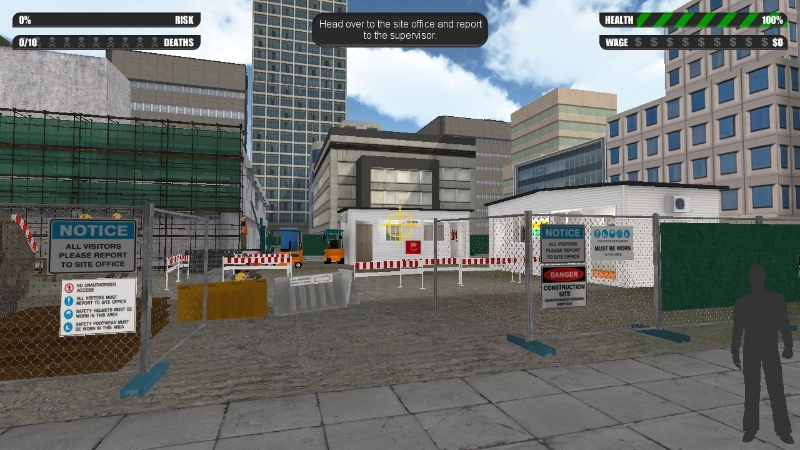 We are currently trialling the follow-up serious game, which builds on the Whitecard game and looks at sustainable work practices on demolition sites.